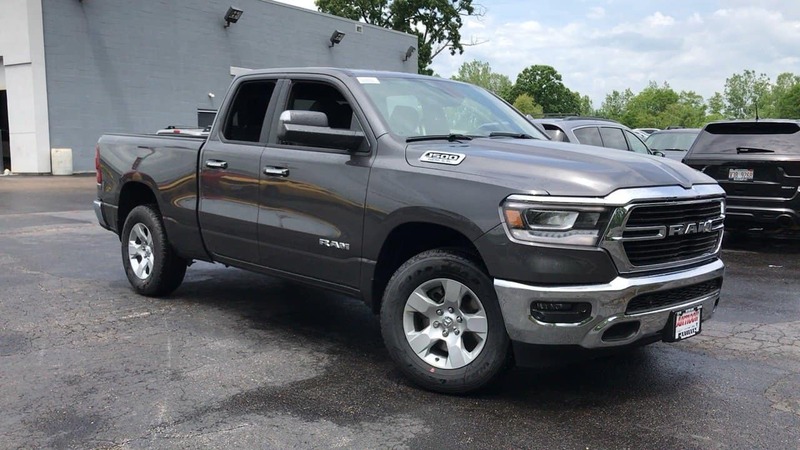 Learn more about the tough exterior of the new 2019 Ram 1500 at Antioch Chrysler Dodge Jeep Ram. This new Ram truck has been reinforced frame and more safety and support. Exterior clear-coat paint gives a shiny coat to your powerful new truck offering increased towing power. Just think of what you can do with a Hemi engine. You can tell just by looking that this is a tough new Ram truck you need for your personal or business use. Contact Antioch Chrysler Dodge Jeep Ram about the 2019 Ram 1500 near Gurnee, IL.